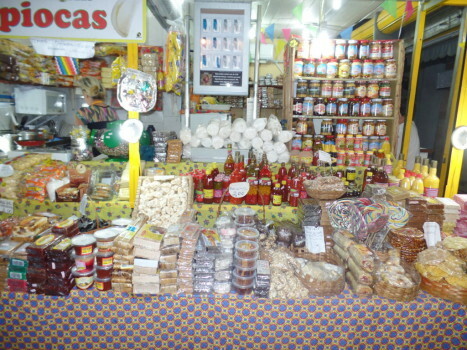 Portuguese, fun and Northeastern tradition at Feira de São Cristóvão. 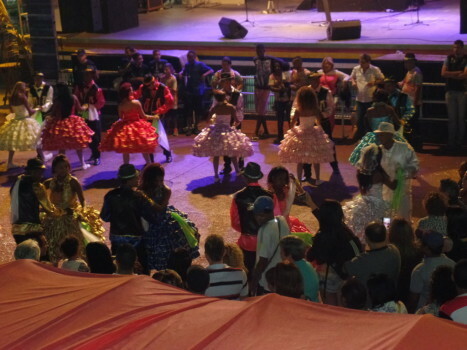 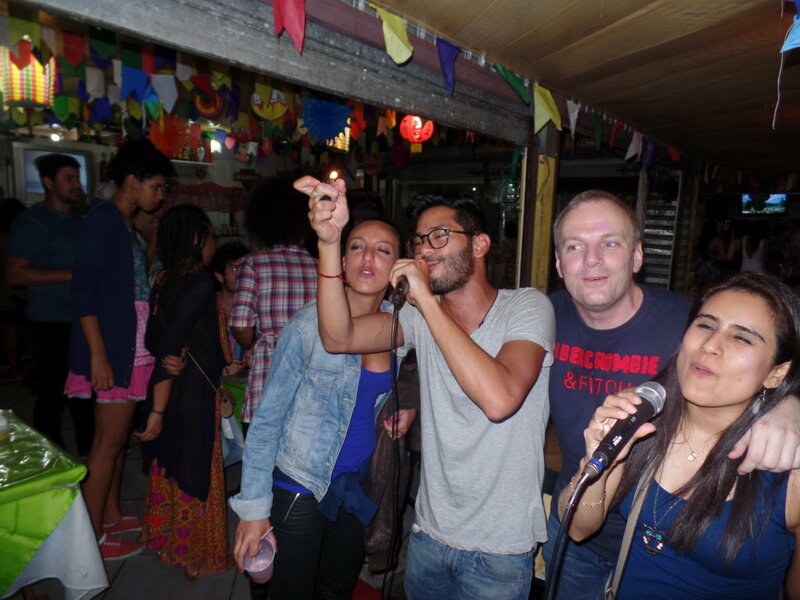 La sortie a Sao Cristovao avec tous les etudiants etait super, cela nous a permis de danser, de chanter, sur des musiques bresiliennes. 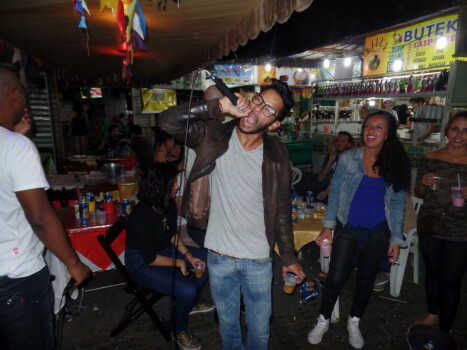 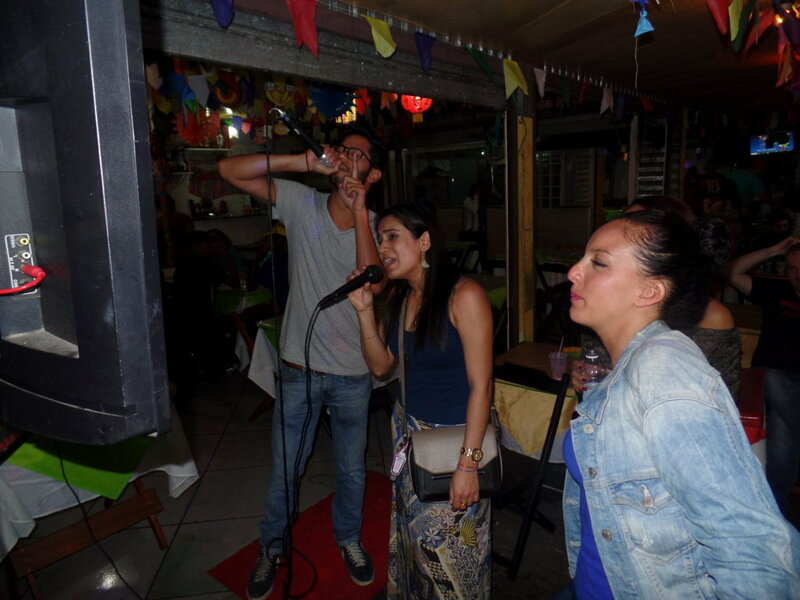 Avec au final, un karaoke version bresilienne endiable entoure de cariocas. 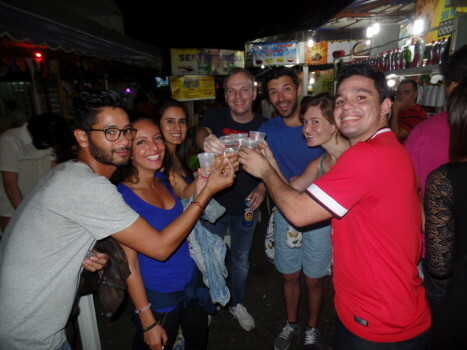 Honnetement c´etait genial et a refaire au plus vite avec toute l equipe. 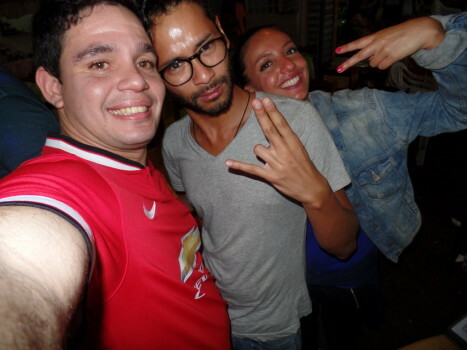 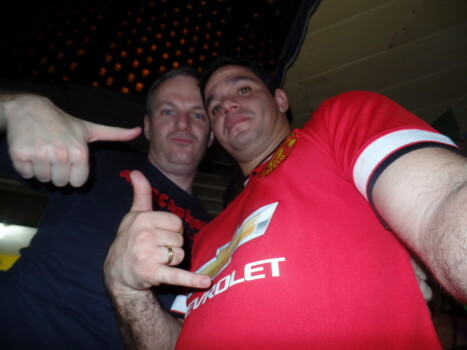 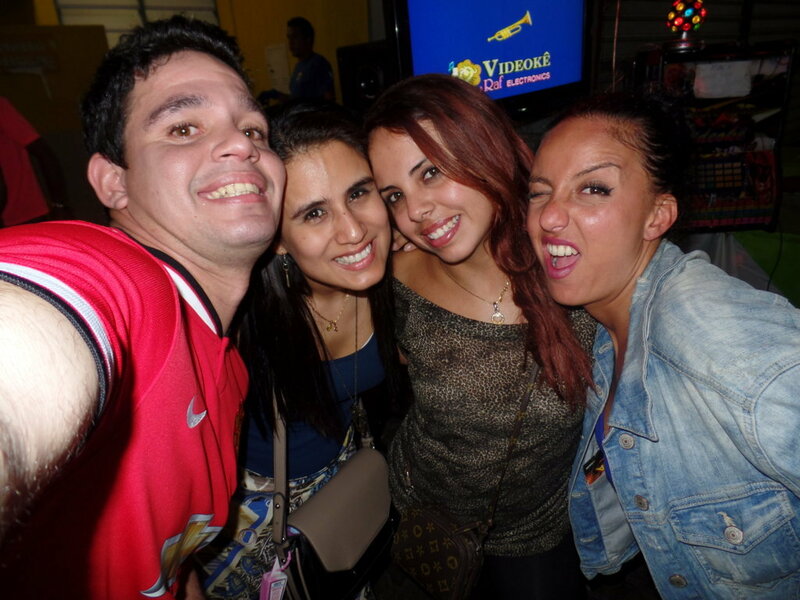 Nothing better than starting the weekend having fun and speaking Portuguese. 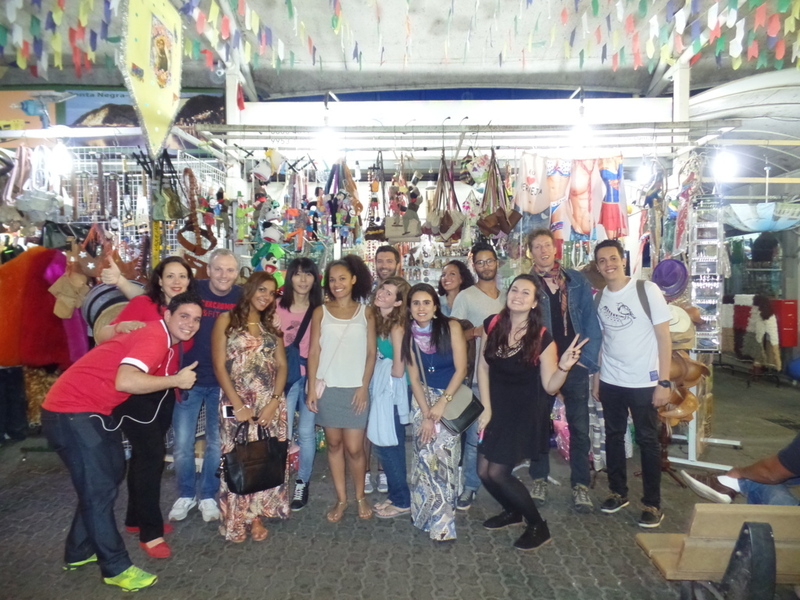 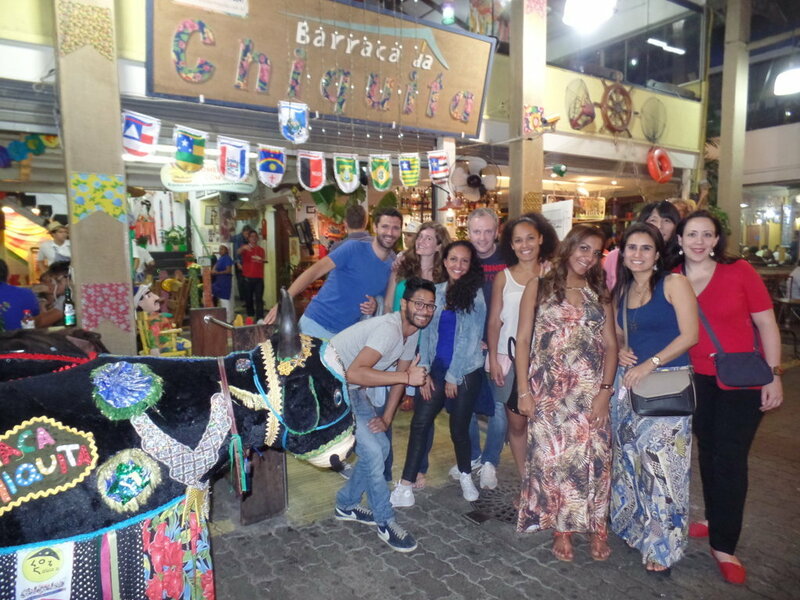 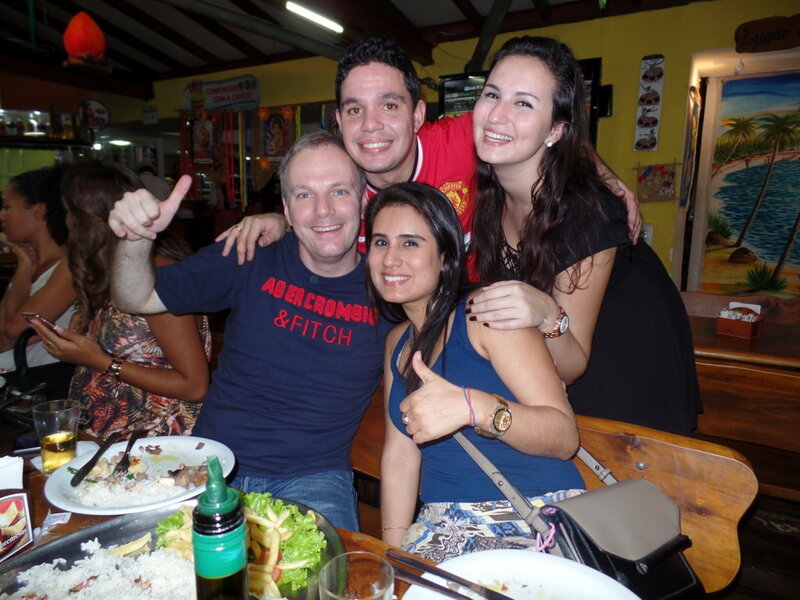 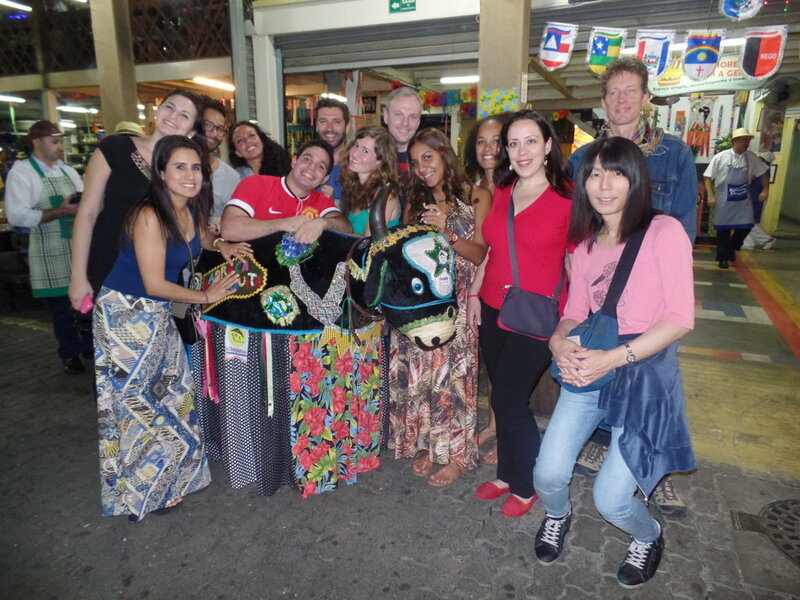 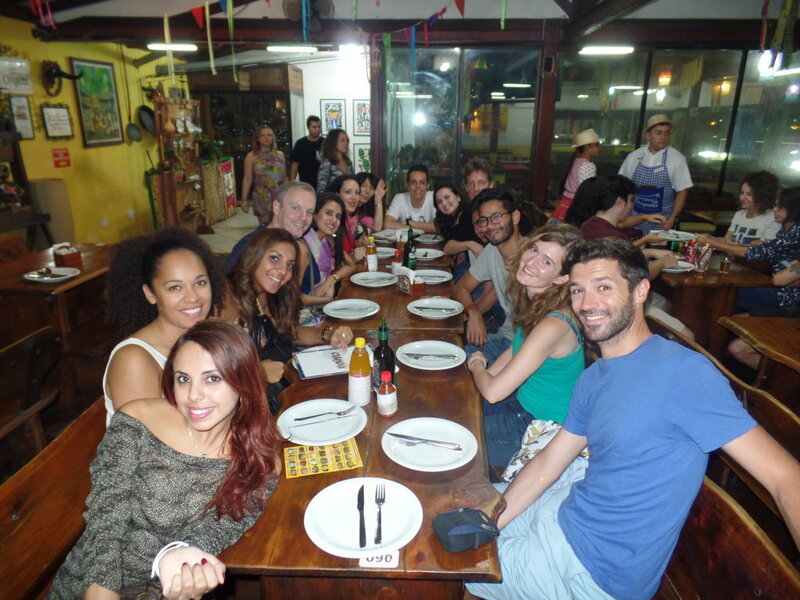 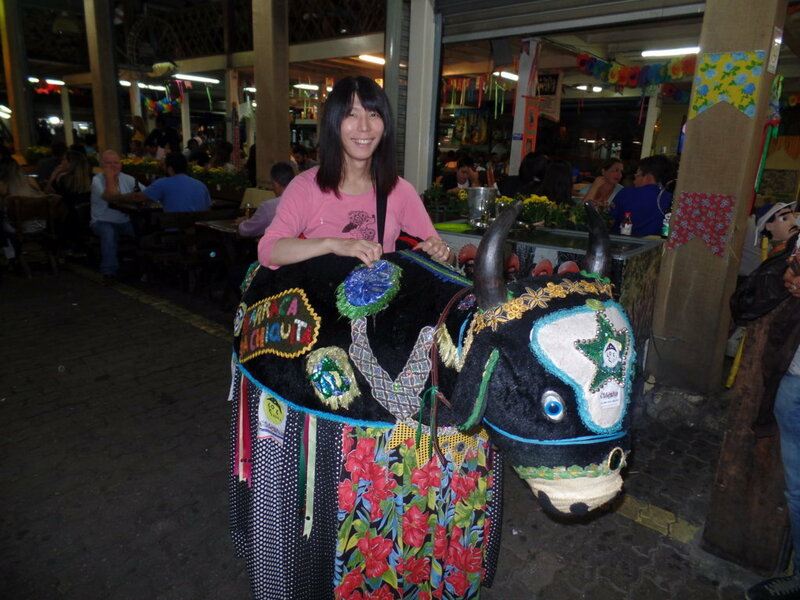 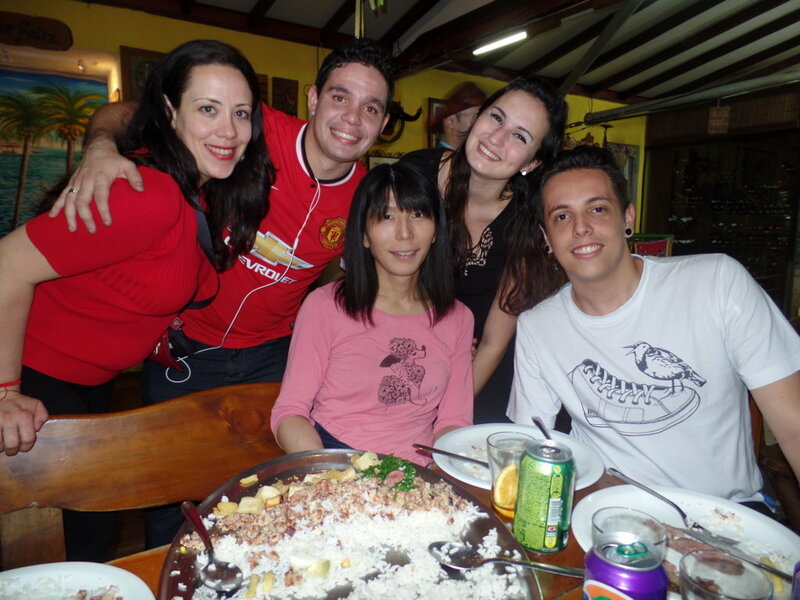 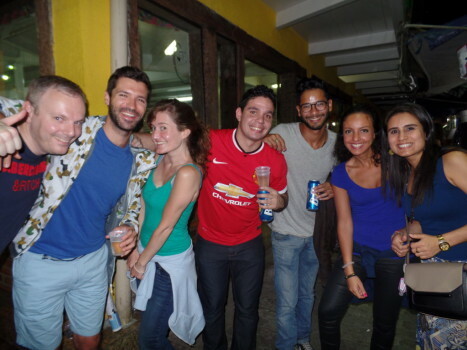 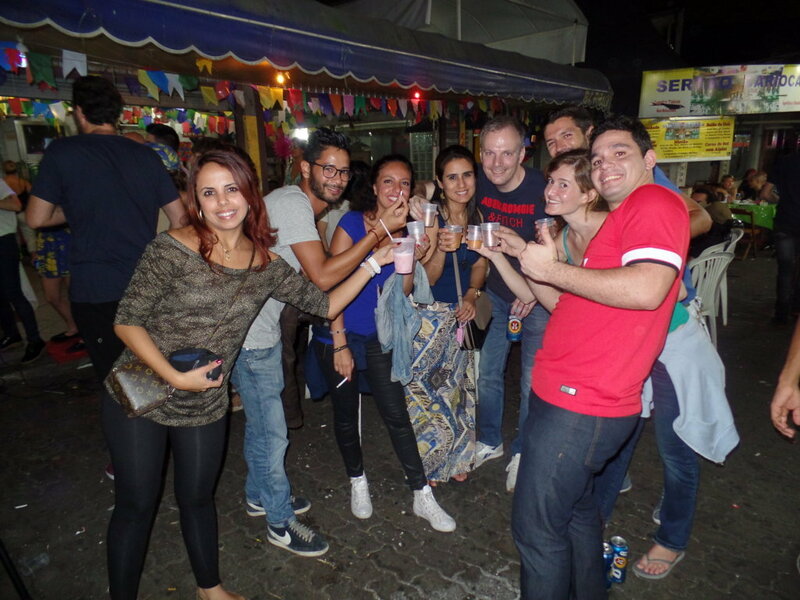 Last Friday, we met at Rio & Learn Portuguese School and went to Feira de São Cristóvão, a very traditional place located at the North Zone of Rio de Janeiro. 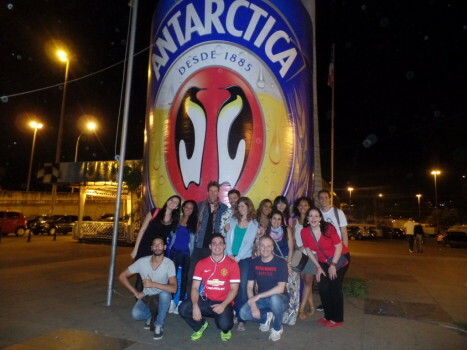 In this place, our Portuguese students could know a little bit about the Northeastern culture. 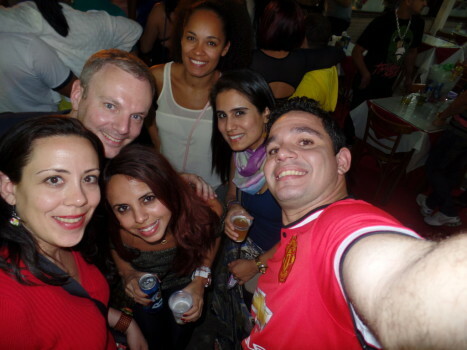 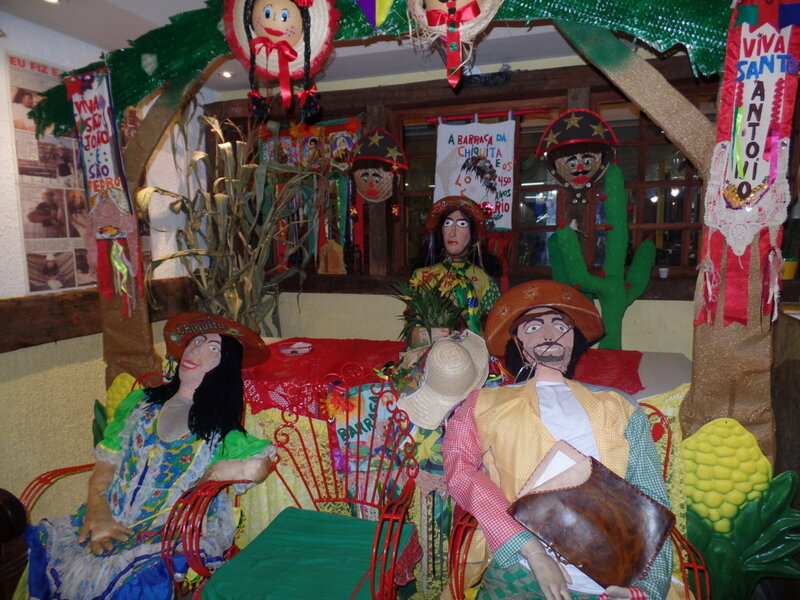 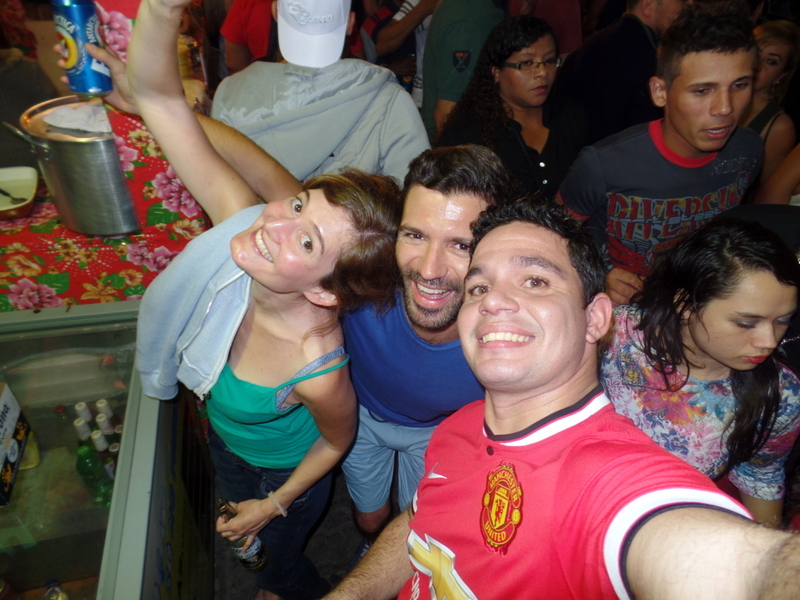 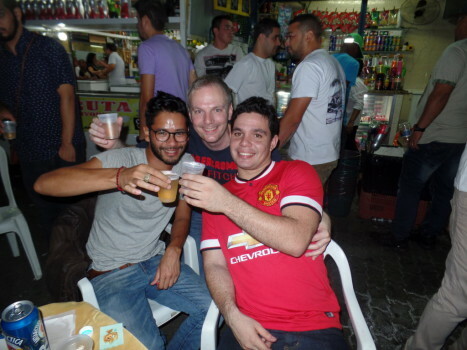 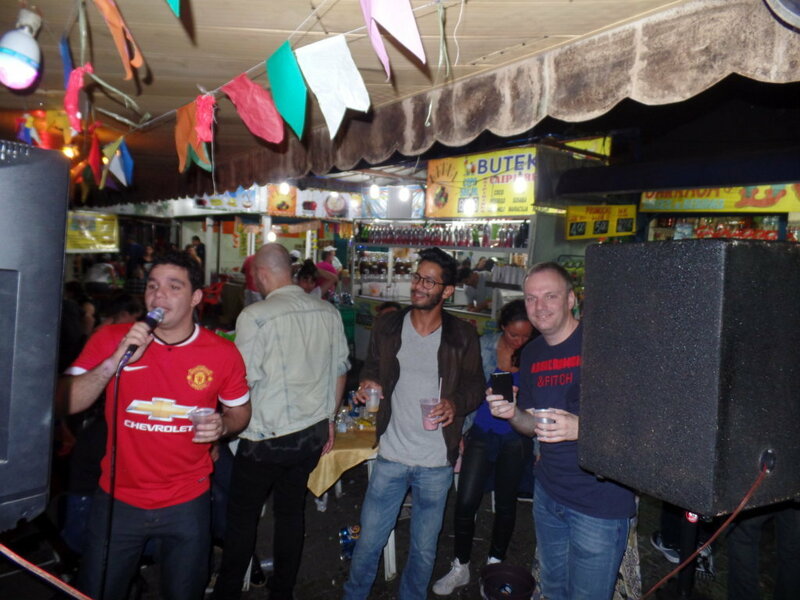 As we are in July, we visited an amazing festa julina (traditional party at this time of the year in Brazil), the fair has one of the biggest parties of Rio de Janeiro. 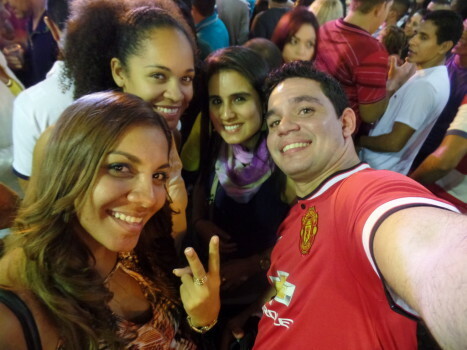 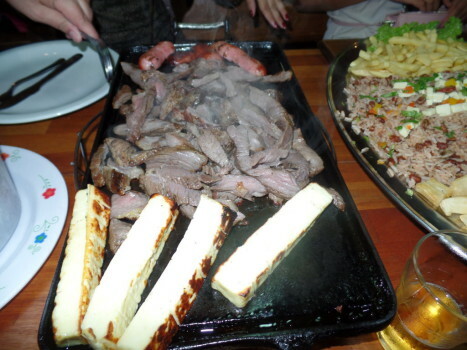 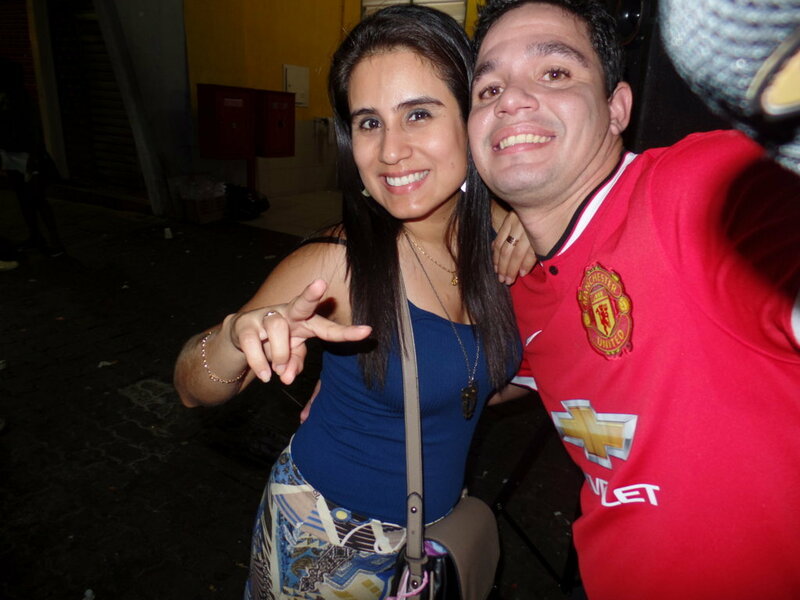 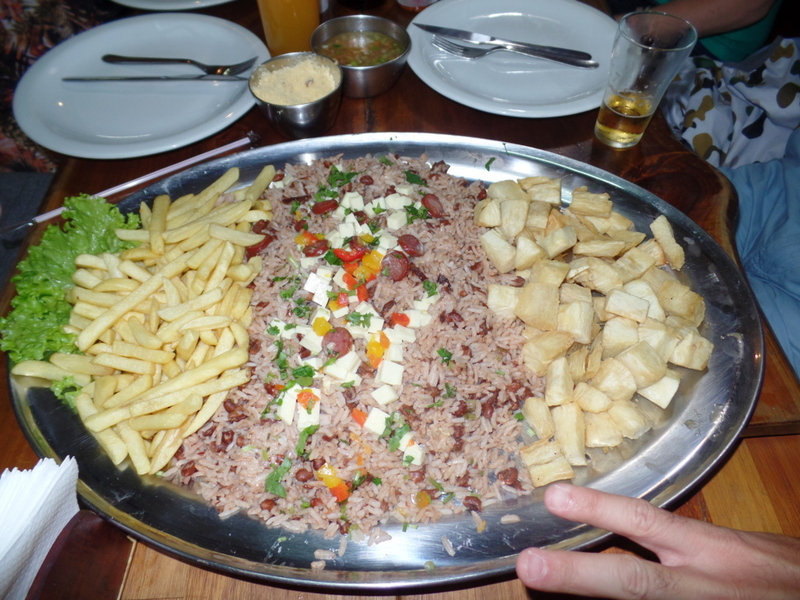 After having dinner, we watched a concert of a very nice traditional forró band. 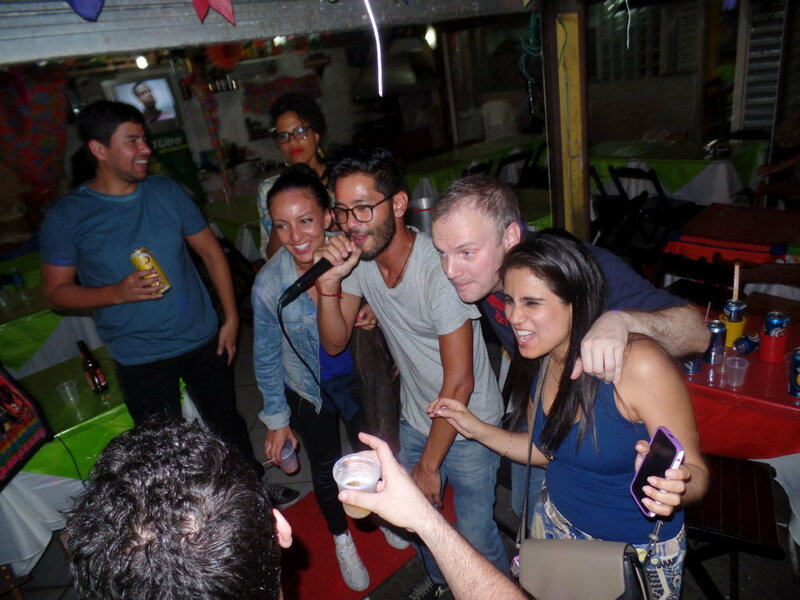 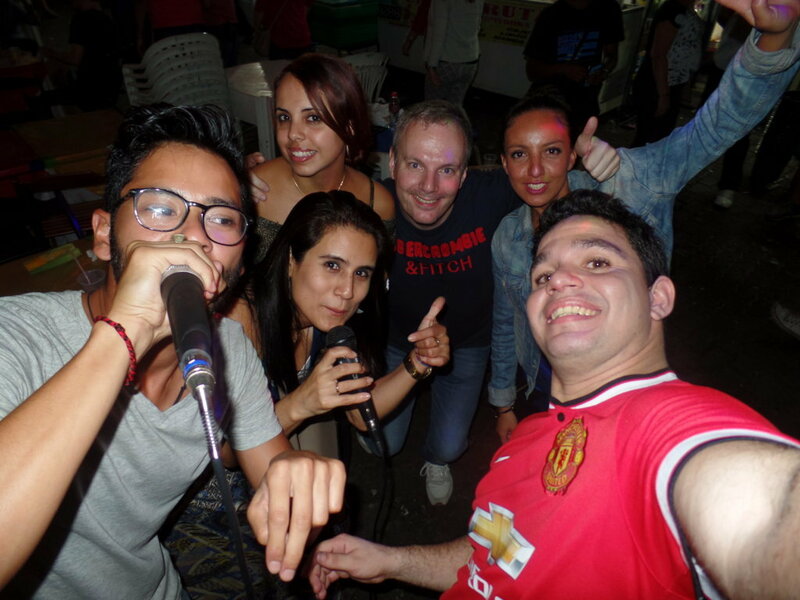 In the end, we enjoyed the wonderful night practicing our Portuguese, because our students were challenged to sing in a karaoke. The best thing was that they could only sing songs in Portuguese. 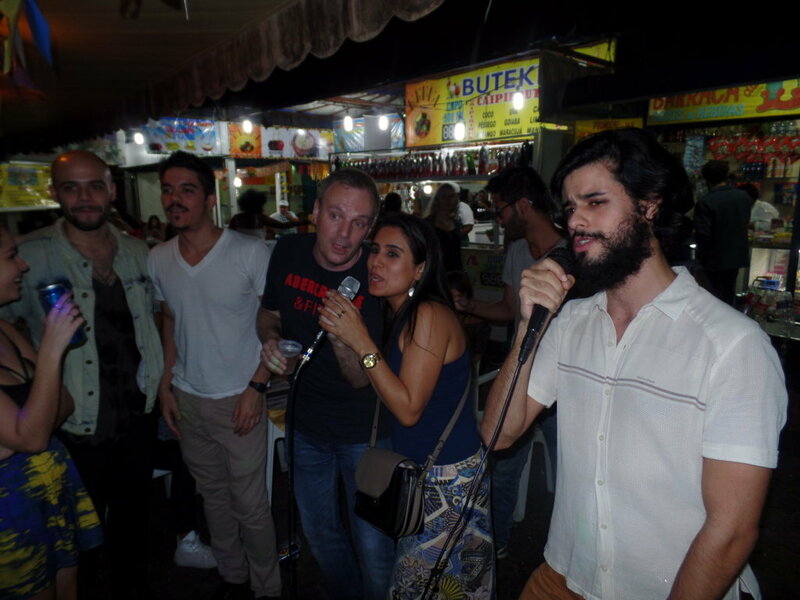 Songs as Ai se eu te pego and Garota de Ipanema couldn’t be out of our list. 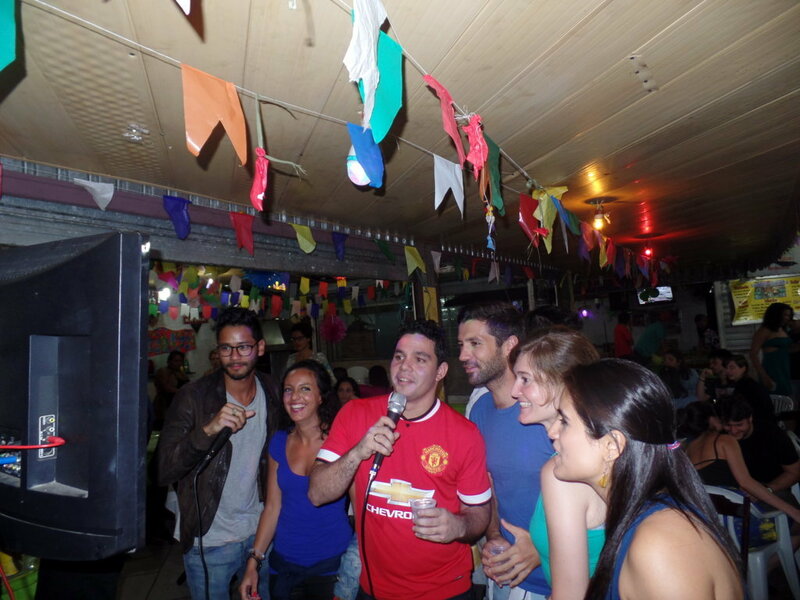 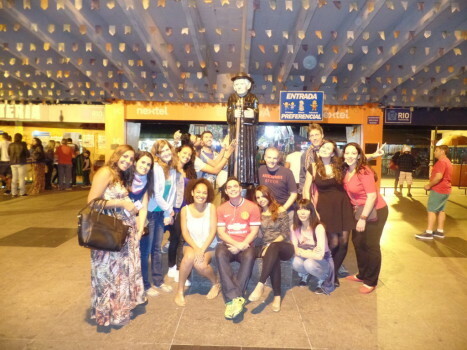 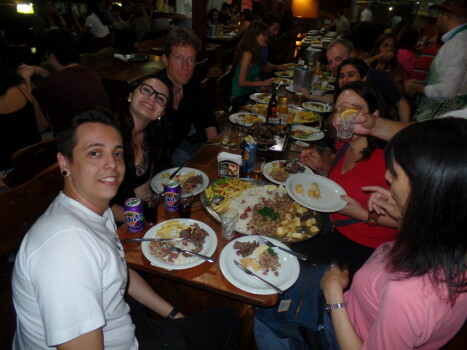 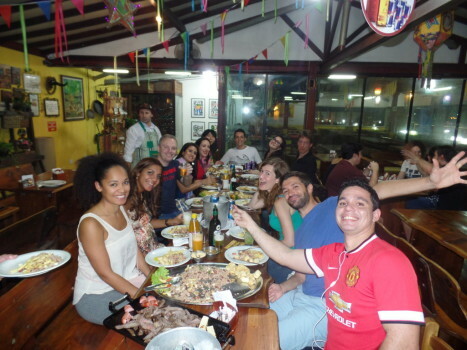 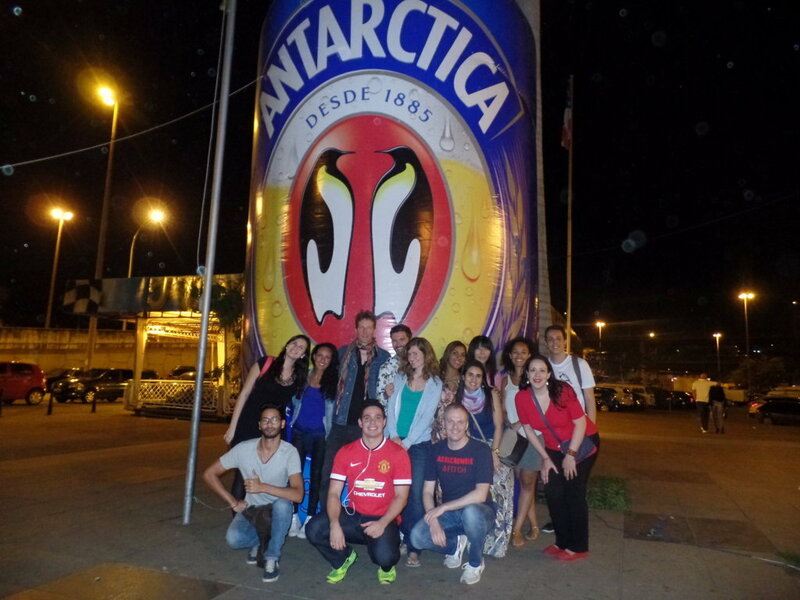 Come you too to study Portuguese and have fun with our RioLIVE! Acivities.